Coupon Description: MoreBeer.com currently has a coupon code that can save you some cash when you buy a Draft Beer Tap Tower . 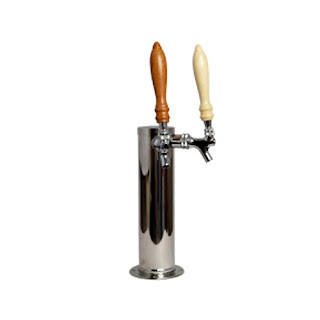 This More Beer coupon code is for a 2 faucet draft beer tower for serving your homebrew! This is a highly rated draft beer tower, all chromed out and ready to serve your home brewed beer in style. Adventures in Home Brewing – Homebrewing.org8 Gallon Brew Kettle for Just $50! Coupon Description: MoreBeer.com currently has a coupon code that allows you to save a few bucks on this Speidel Braumeister V2 Automated Home Brewery. The Speidel Brau Meister is an all in one, electric all grain home beer brewing system. This digital home brewery is built by Speidel of Germany and are imported and supported in the USA by MoreBeer. The Braumeister is an automated homebrew system that has an ease of use that is unparalleled in brewing all-grain beer at home not to mention, it brews excellent beer! Even better, it will ship to you free of charge from MoreBeer. Here are some of the features that makes the BrauMeister so great. First the system is small in footprint and powered by electricity allowing you to brew inside, in a confined space, without the fear of carbon monoxide gas from a flame source. Next, this unit is very easy to use as you mash the grain and then boil the wort in the same vessel. The automation and control is simple an effective. Coupon Description: This More Beer coupon code is for a homebrewing refractometer. A homebrew refractometer measures the density of a solution, in our case how much malt sugar is in solution. This makes it super easy to take initial specific gravity readings and best of all it only requires a couple of drops of wort! So if you are tired of not hitting your desired target gravities or having to cool a large sample so you could use a hydrometer and see what your gravity is then a refractometer is the perfect home brewing tool for you. A refractometer allows you take instant gravity readings, with just a couple of drops, at any point during the home brewing process. Coupon Description: MoreBeer.com currently has a coupon code that allows you to save a few bucks on this Barley Crusher Malt Mill.The Barley Crusher homebrewing mill has a long history of reliable use and is constructed using materials that will last a lifetime. The Barley Crusher uses cold rolled steel for the rollers, aluminum for the mill body and hopper, tool steel for the axles with Oil Impregnated bronze bushings. This is a great mill for your homebrew needs and allows you to easily connect a powered drill to speed things up! 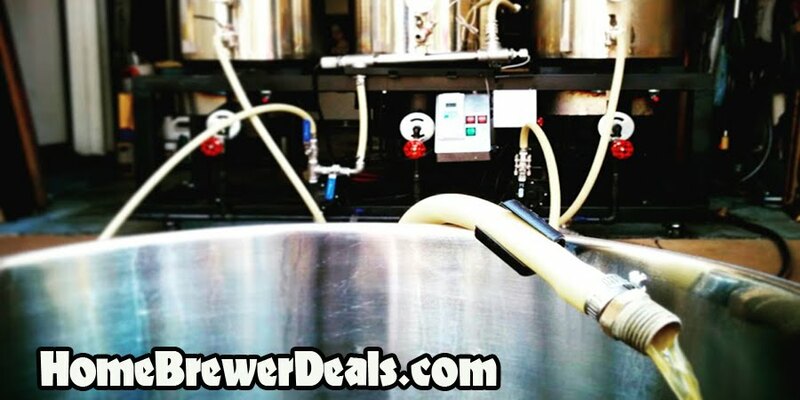 Coupon Description: MoreBeer.com currently has a coupon code that allows you to save on a stainless steel wort chiller for homebrewing. This More Beer coupon code is for a stainless steel homebrew wort chiller. Few materials are more durable, more resistant to wear or more attractive than stainless steel. Those are just a few of the reason why it is a favorite material for many home brewers and is what sets this stainless steel wort chiller from apart from similar chillers. This high quality stainless wort chiller includes 8 feet of vinyl tubing attached to both the in and out using a female garden hose fitting on the “in” side, as well as 25 feet of stainless steel tubing measuring 3/8 inch wide. It is a great wort chiller for 5 gallon extract or all grain homebrewing batches.